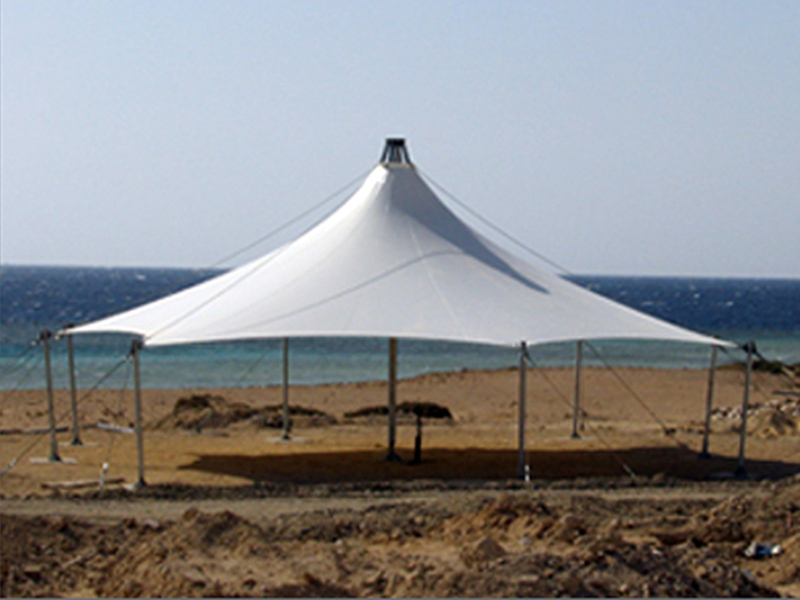 Shade and comfort at everyone’s reach. 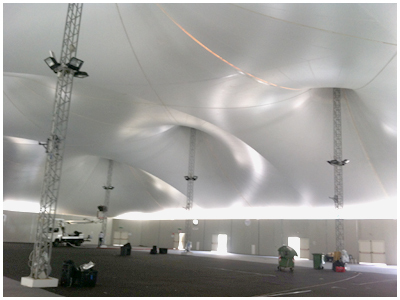 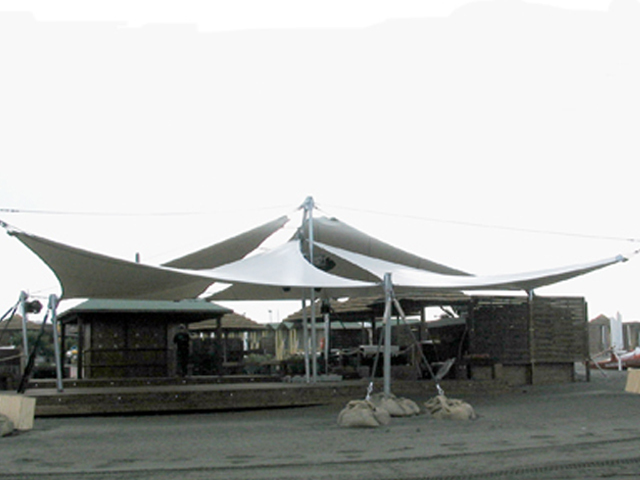 The sail-like tensile structures are roofs subject to the only traction regime made with PVC membranes supported by rope systems. 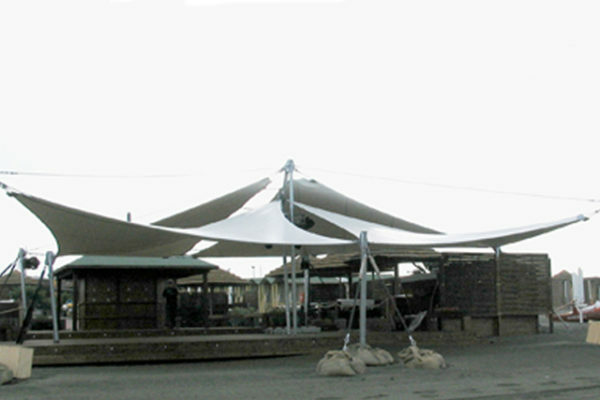 They have geometric shape supported by poles and tensioned by steel cables, plates and tie rods. 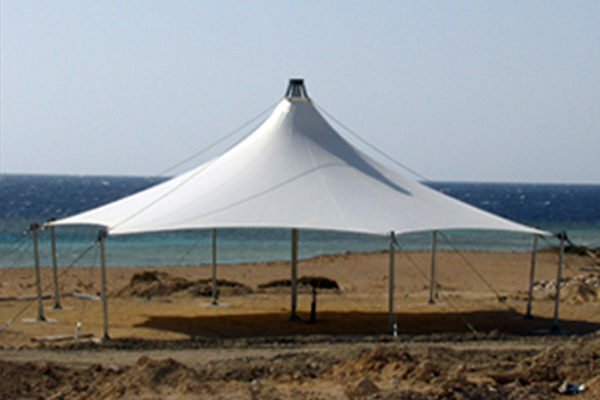 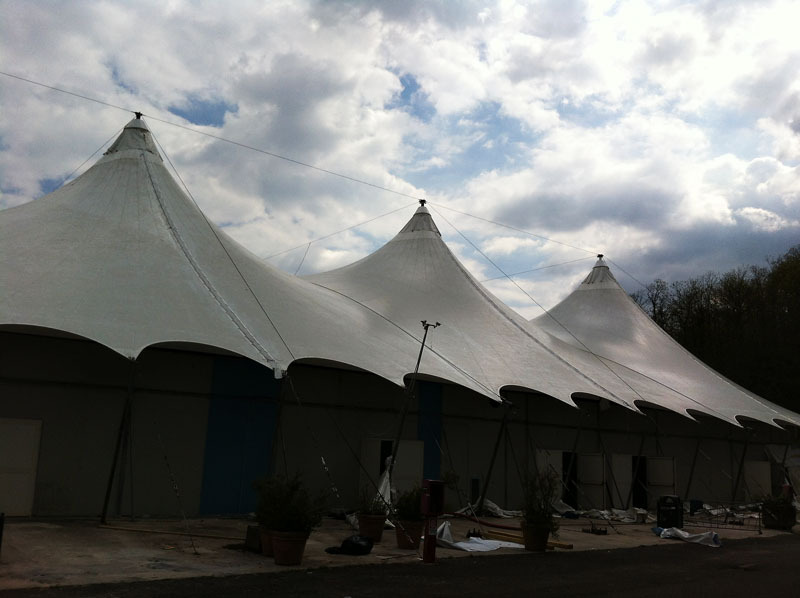 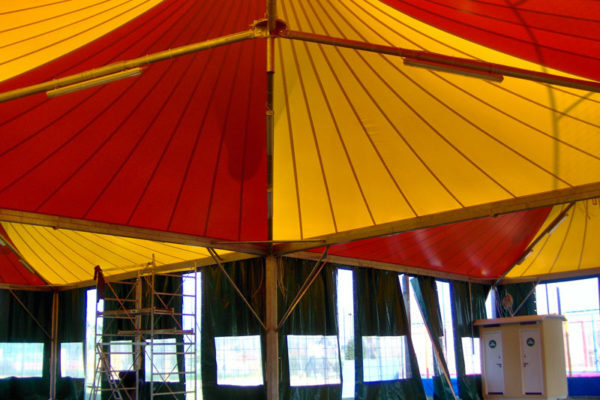 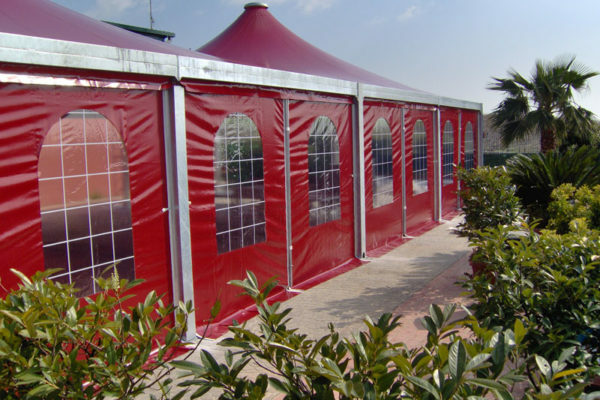 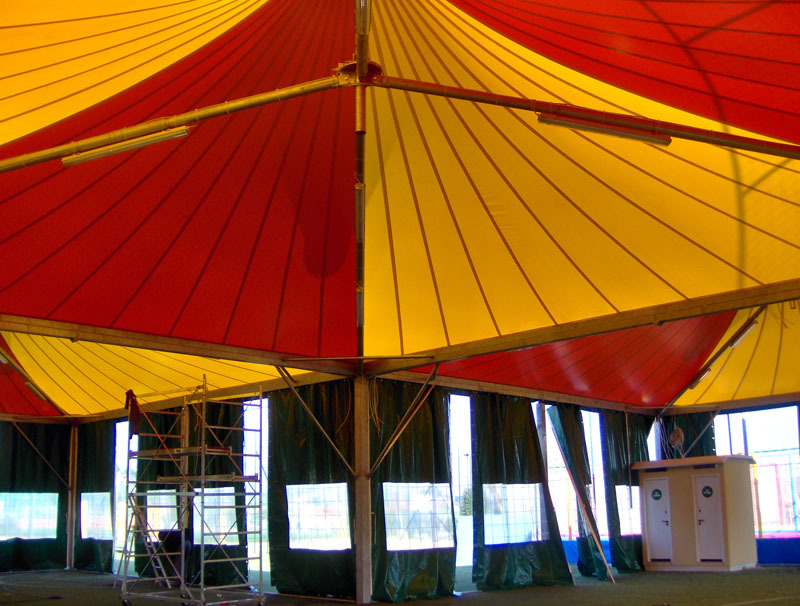 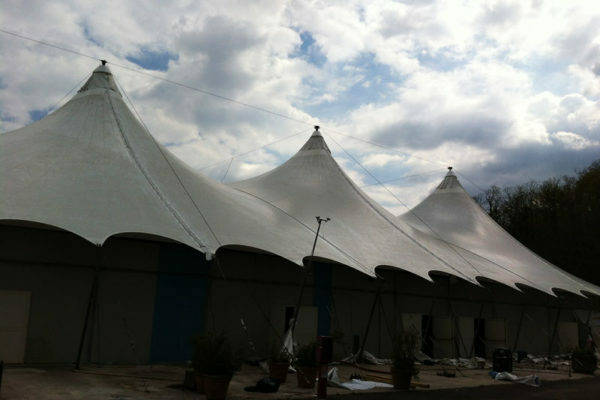 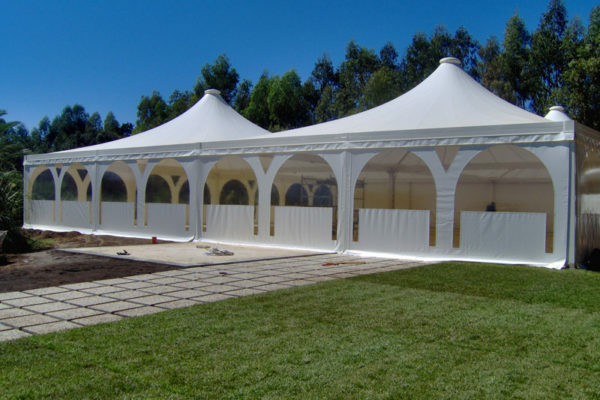 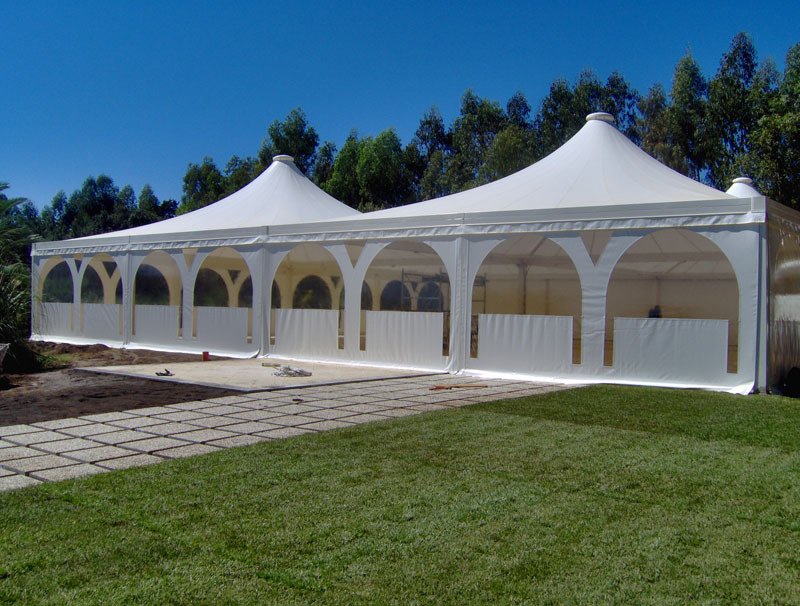 Featuring a high resistance from the textile membrane coated both sides with waterproof, flame-retardant and self-extinguishing PVC, tent structures sail-like are made with properly reinforced edges at the connection points, anchoring points, and at the highest stress and wear points. 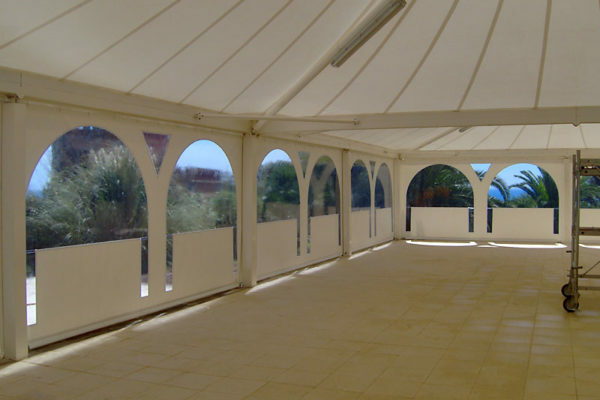 The PVC membrane plays a key role, and since this type of cover is – probably – the most flexible in the world because can be adopted in a variety of situations. 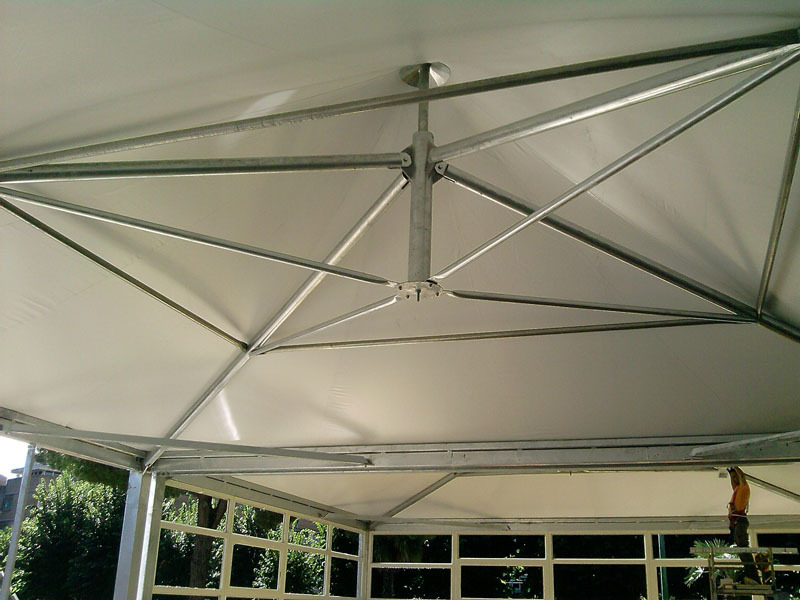 Its most important feature is the traction and tear resistance, and thanks to its “elasticity”, it allows tensioning. 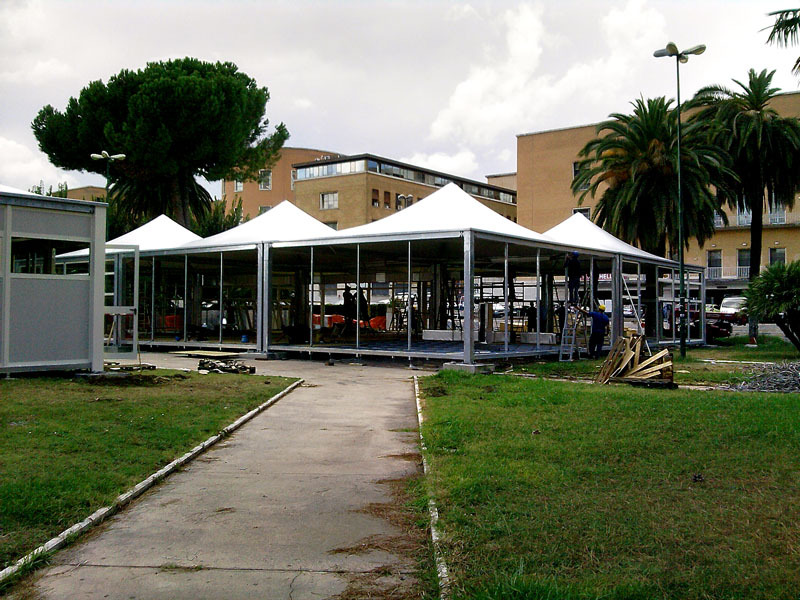 These structures can be used to cover small or large spaces due to the total lack of supporting structure. 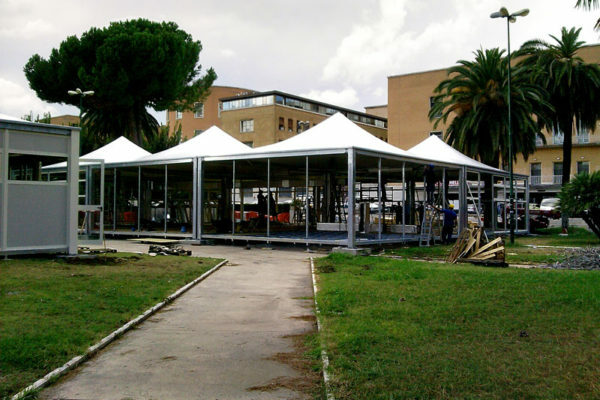 However, they require a project elaborated and built according to the installation site, in which all the factors necessary for safety and positioning are considered, in accordance with current regulations. 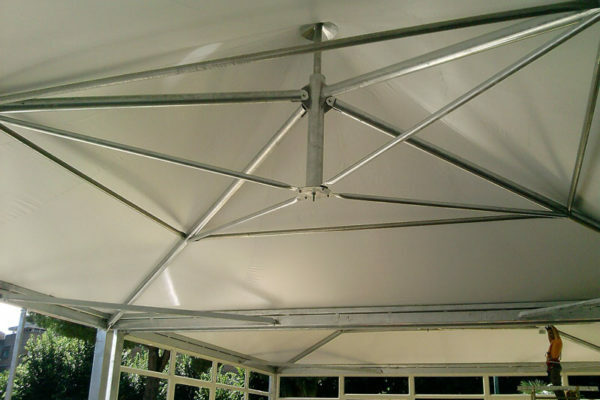 PVC gazebo also uses the ductility of the membrane that covers them, the galvanized steel bearing structure – that identifies them – together with the stainless steel bolting bolts, required for assembly, are all accompanied by certificates. 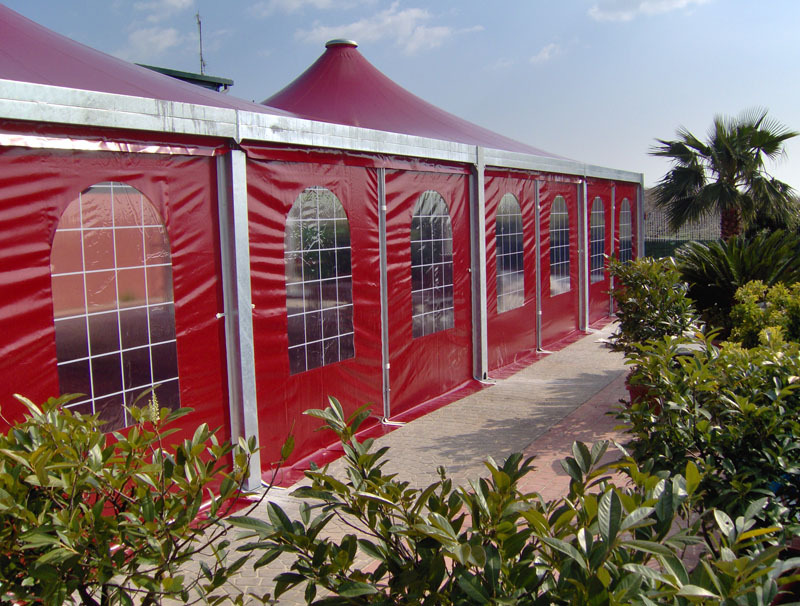 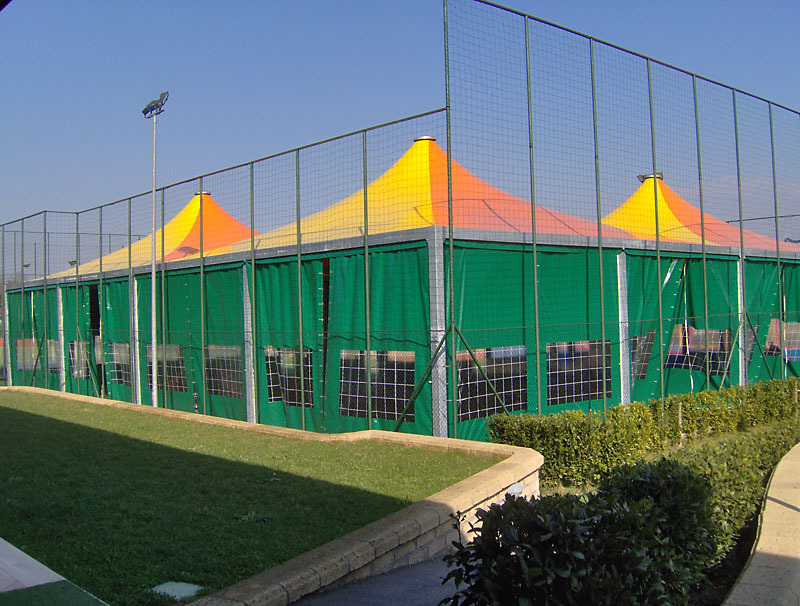 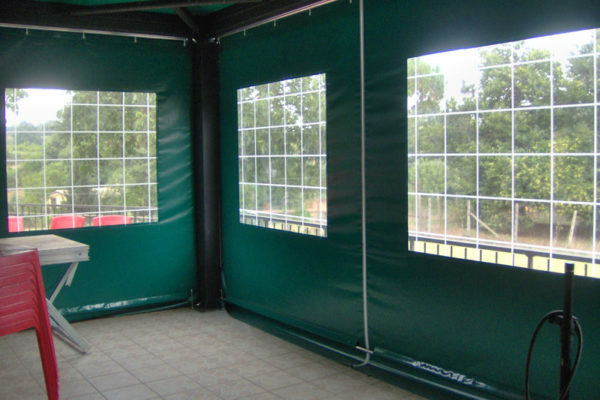 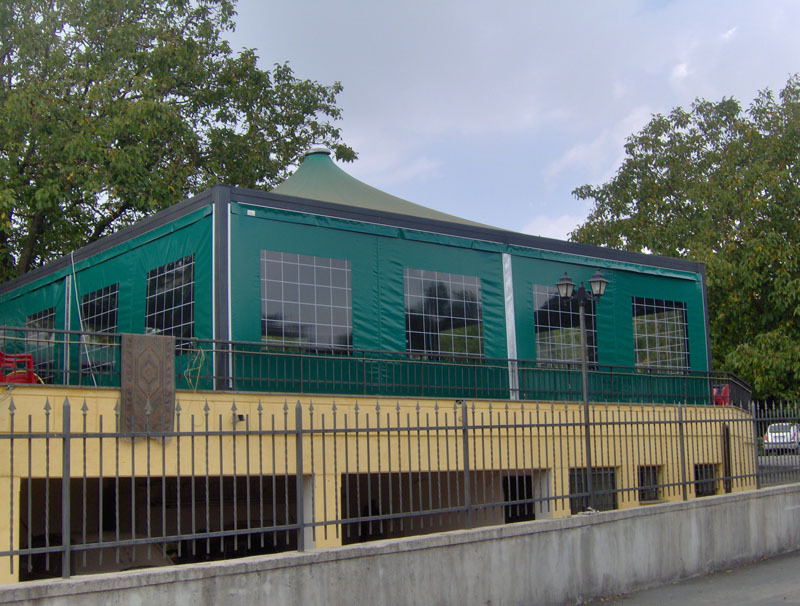 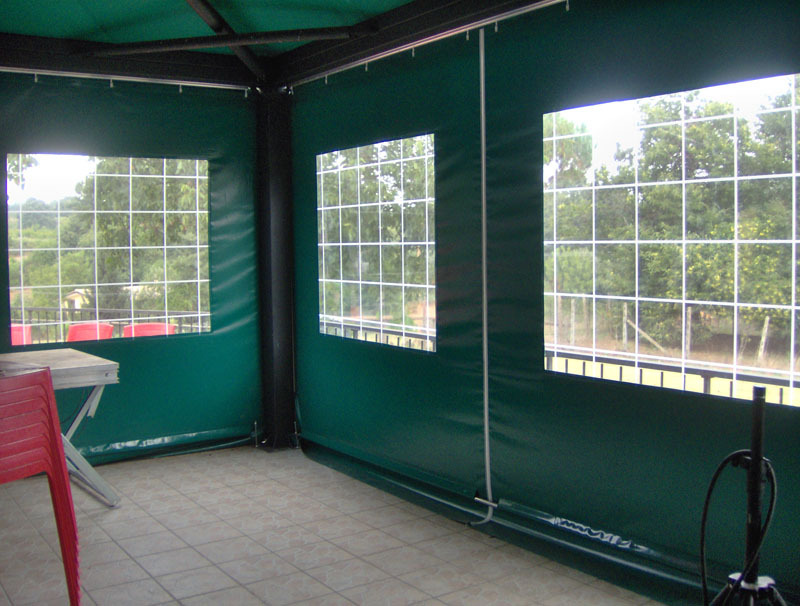 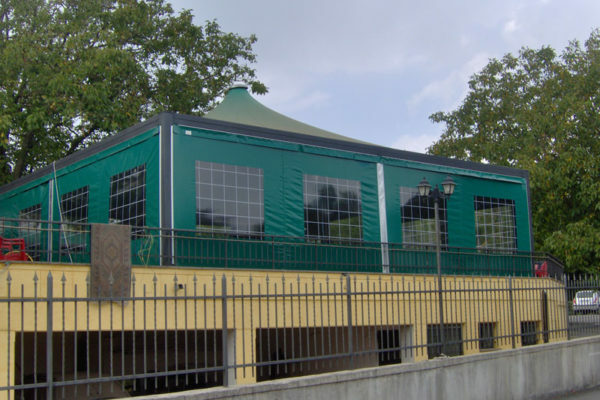 They are considered to be movable structures, therefore they do not need special permits, although everything depends largely on the place where they are mounted; they are characterized by high resistance, mainly due to the high quality of the PVC membrane used to make the cover and any lateral perimeter. 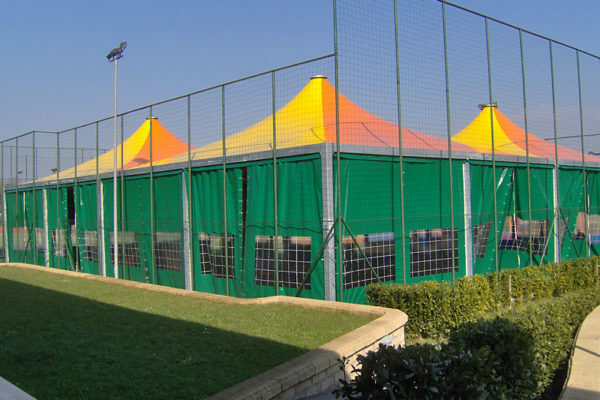 There can be many cover solutions of any color and size that fit the context in which they will be inserted. 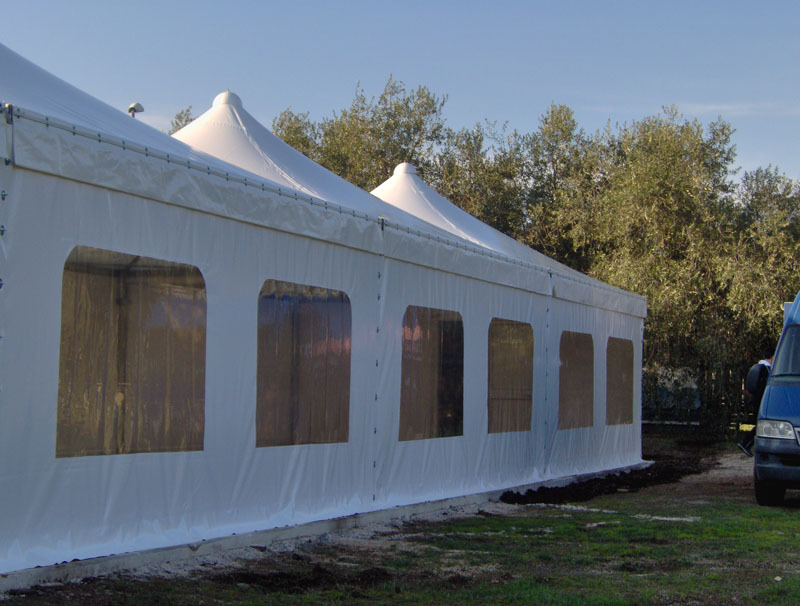 It should also be emphasized that Plastex Srl can also provide the single PVC cover for existing structures that require replacement. 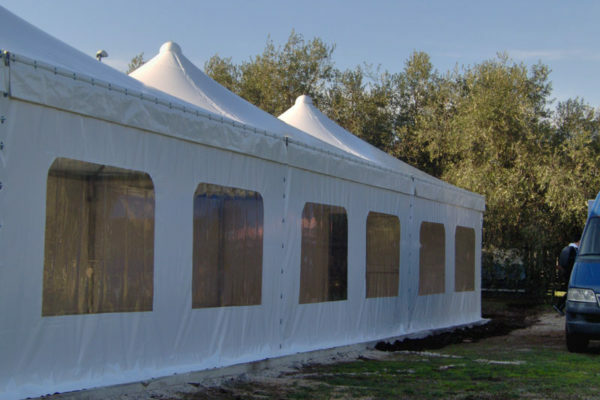 They are processed by the head of the technical office and by computerized cut you get the various cuttings which are subsequently assembled and welded with special high frequency welding machines is packaged the cover. 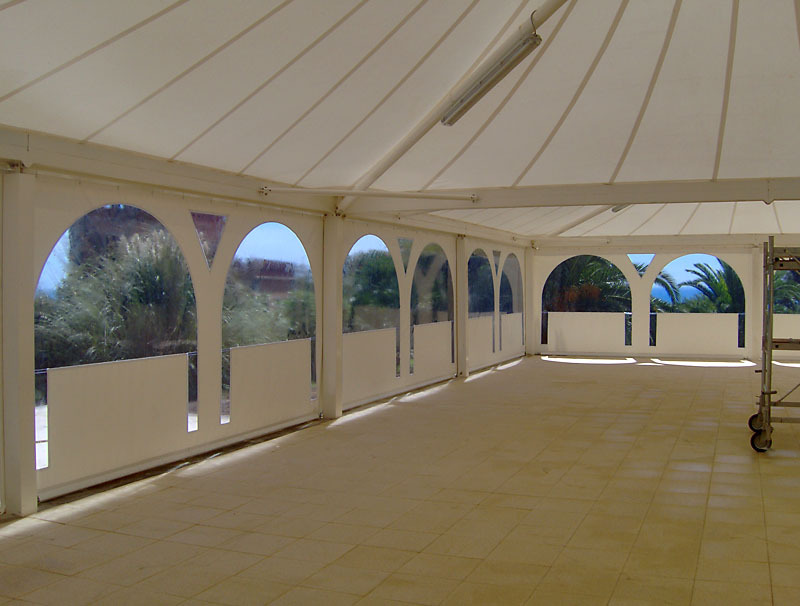 Our sales office is at your disposal to study and propose the solution that best suits your needs and requirements.